One of the most photographed lighthouses in the United States, Portland Head Light was built in 1791. It was the second lighthouse authorized by the newly formed American government. The lighthouse is located on the grounds of Fort Williams State Park in Maine and serves as a navigational aid to vessels entering the Portland Harbor. Portland Head Light was originally 58 feet tall. The lighthouse has been raised-then lowered-then raised again to the light's present day height of 80 feet. The keeper's quarters, a classic New England style dwelling, gives charm to the lighthouse and grounds. 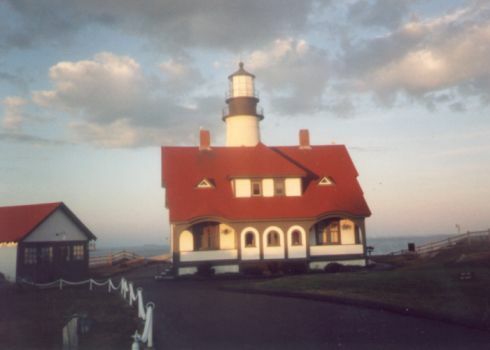 The lighthouse is owned and operated by the town of Cape Elizabeth.